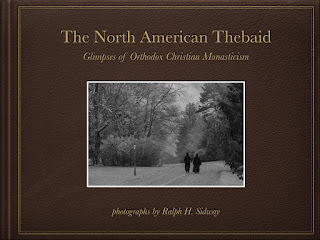 Welcome to the Online Store for The North American Thebaid Photographic Pilgrimage. or the Deluxe Limited Edition in Bonded Leather with fine-art print, signed by the photographer. Discounts for bookstores and resellers will be available through St. Tikhon's Monastery Press. Scroll to the end of this article for more info and answers to frequently asked questions. Some details (cover design, layout, number of photographs, total number of pages, etc.) are in the process of being finalized, but the size and format, and the selection of museum-quality archival materials for the cover and pages have been established through early (January 2016) consultations with our printer, Four Colour Print Group of Louisville, Kentucky, a fine-art book printer with over thirty years' experience, and a client list comprised of university and museum presses, as well as artists and photographers of renown. By pre-ordering the North American Thebaid Book, you are helping bring this three-year endeavor to a successful fulfillment, and will join over 120 other early supporters who pre-ordered either the Standard Edition or the Deluxe Limited Edition, whether through our crowdfunding campaigns on Indiegogo (2016) and GoFundMe (2017-2018), or at over a dozen parish presentations made in between the monastery visits. Publication of the Thebaid Book is scheduled for Spring 2019. Pre-orders will be delivered prior to retail distribution. Thank you for your prayers and support! 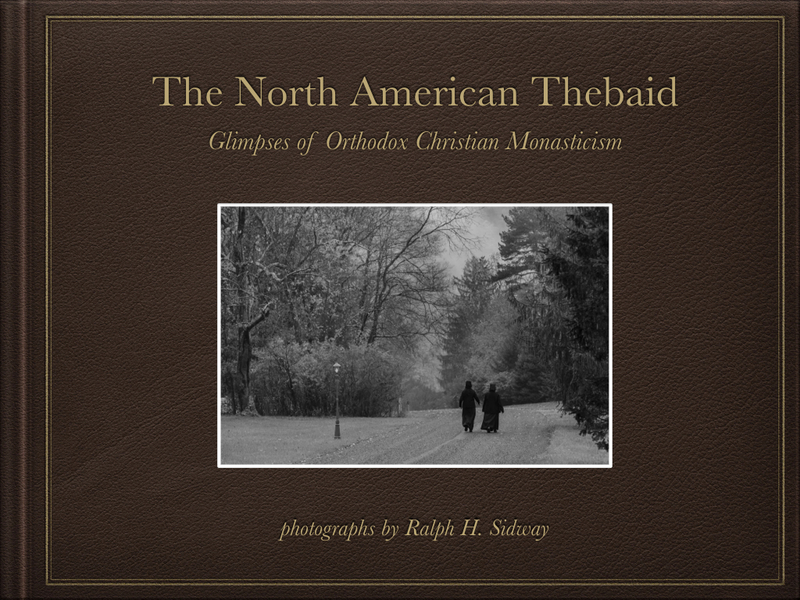 We invite you to sign up for email updates (via the Menu) regarding the Thebaid book, and to return to the official Thebaid Project Website to explore the dozens of online photo galleries with hundreds of images from Orthodox monasteries in North America, and learn more about Orthodox monasticism. 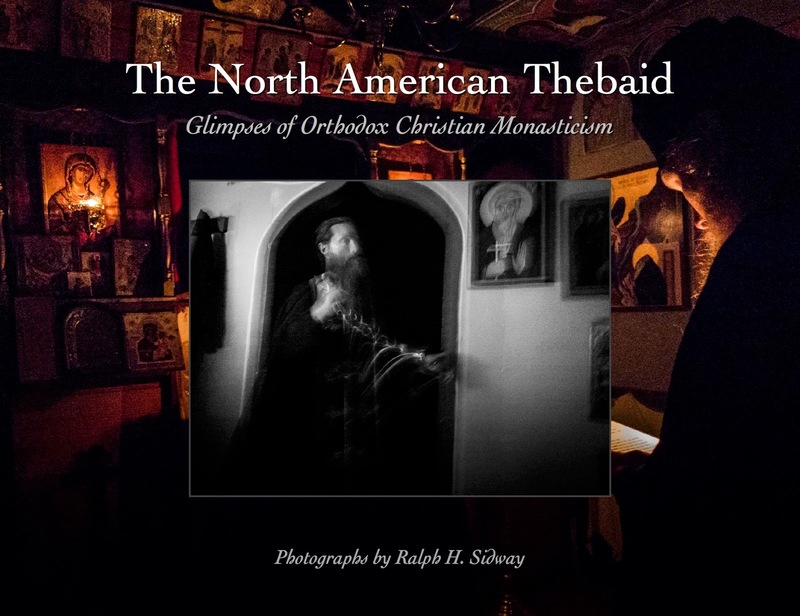 We can't wait to get the finished book into your hands, to share with you this beautiful and soul-stirring visual pilgrimage with its glimpses into the hidden way of Orthodox Christian monasticism. * Sample cover design shown at top; actual cover design may vary. Additional cover designs appear with the different product listings. PayPal is a great solution for us and for many online stores for its ease of use, robust security, and ability to handle transactions made with Visa, MasterCard, AmEx, Discover, and other credit and debit card providers. You do not have to have a PayPal account in order to complete your order, there is an option to check out without a PayPal account. If you would like to pay by check, please send us a message using the Comment option in the Menu. Shipping is calculated at $15 per book for US destinations; we will ship pre-orders via USPS Priority Mail (insured), in the order in which the orders were received. We will contact international customers with a revised shipping cost following order placement. No Sales Tax collected on Thebaid Orders — The question of online stores collecting sales tax for internet sales varies by state, and may be affected by our status as a 501(c)(3) non-profit. We have decided to address this question on the back end, and keep the order process clean and simple for you, our customers and supporters. Hence flat-rate shipping and no sales tax added. Bookstore and Wholesale Requests — Discounts will be available for church bookstores and qualified distributors and resellers. Please contact St. Tikhon's Monastery Press with queries about bookstore and wholesale purchases. Want to Donate? — We've had some people pre-order the book but also ask to place a simple donation in addition to further help us with operational costs. The North American Thebaid is a registered 501(c)(3) Non-Profit Association, established with the Blessing of His Grace, the Right Rev. +Paul, Bishop of Chicago and the Midwest, Orthodox Church in America. All donations are tax deductible. Donations are processed by PayPal. Questions about something not covered here? — Please use the Comment option in the Menu to send us a message, and we'll get back to you asap!